Our Insights team works across our organisations and community to better understand, develop and share the Centre’s principles, model and learning. We do this by researching our impact in the community and supporting teams to learn and innovate. 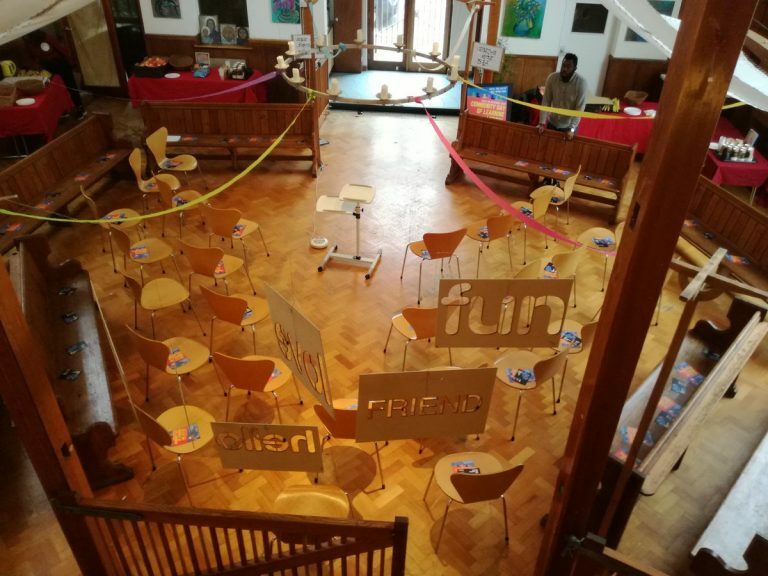 We also work to support other organisations and communities to develop their own effective responses to their community’s needs and aspirations. To find out more about our work, sign up to our mailing list here. Our research project, Unleashing Healthy Communities, aims to create a deeper understanding of the Bromley by Bow model, with a particular focus on the mechanisms which work to improve health and wellbeing and the social determinants of health. In June 2018, we published the results of our two year, embedded research project. Our Insights team have developed an extensive range of knowledge share activities such as bespoke study visits, seminars and tours, to support individuals and organisations to learn how to translate key aspects of our work to your own community. We also offer on-going support to organisations our accompaniment work. Please do get in touch if you have any questions about how we can support you by contacting by our Insights Team by emailing insights@bbbc.org.uk or call 020 8709 9741. 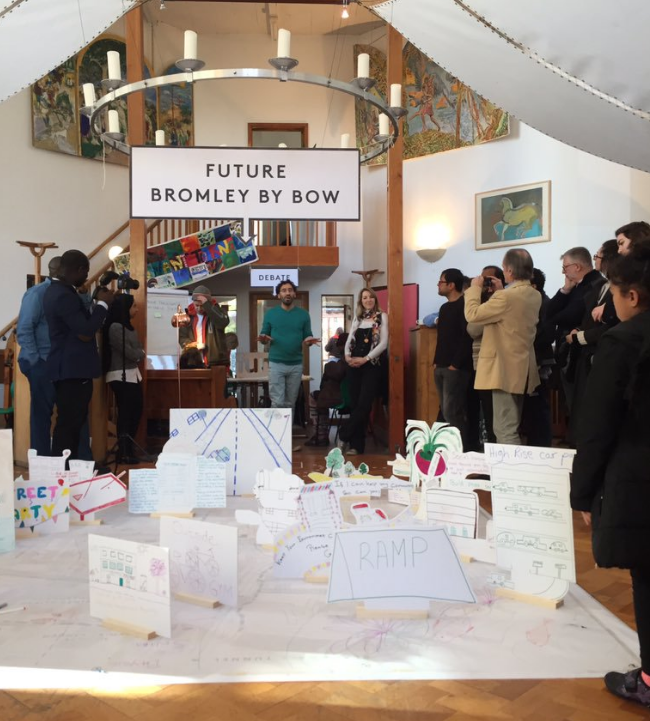 The Bromley by Bow Centre has a significant track record of developing and sharing innovative practice, contributing to a number of major policy initiatives and has been cited in a number of recent health policy reports. The Centre is actively engaged in the current policy development around the transformation of provision, and the reorientation of resources, to more effectively improve the health and wellbeing of our communities. Read our reports on what we have learnt from our services. 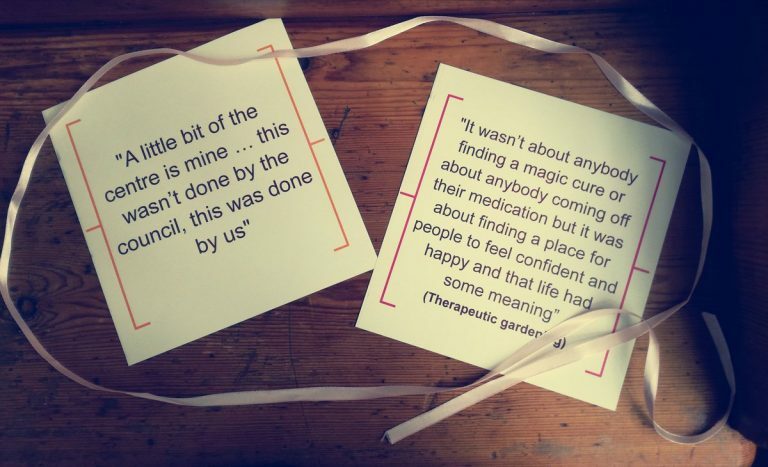 You can also access our social prescribing reports. If you are interested in contacting us about our research, policy work or to hear more about our knowledge share work please do get in touch.